If you’re in the market for an aluminium door that will completely transform your property and offer unbeatable performance, look no further than Omega. Our aluminium doors provide the very best in security, durability and thermal efficiency and are highly customisable to suit any home. At Omega, we pride ourselves on exceptional customer service in Ramsgate. From our high-quality products to our efficient installations, we commit to giving you the absolute best. We have built a reputation in Ramsgate for offering nothing but the highest quality, and our large base of satisfied and loyal customers pay due testament to that. When you buy from Omega, you are guaranteed incredible customer service from your first quote, all the way through until installation. We have written a helpful guide to tell you more about our aluminium doors in Ramsgate and the ways in which they will transform and enhance your home. 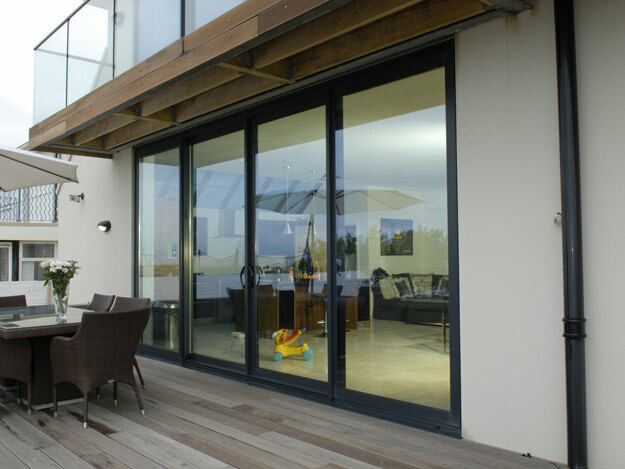 Our aluminium doors in Ramsgate are designed to offer unbeatable weatherproofing and thermal performance. Aluminium often carries a stigma in the double glazing business for not being a particularly good retainer of heat, but our doors completely dispel this myth. Our doors are made using state of the art thermal technology. They act as a thermal barrier because they are great at keeping warm air inside your home. They even prevent cold air and draughts from getting in. Our aluminium doors save you money on your heating bill. A home will remain warmer for longer, and therefore will rely less on central heating. You will immediately begin to see savings on your heating bill. Our aluminium doors are a great money saving investment for your Ramsgate home. They have also been tested against the most extreme weather conditions and have proven that they can resist the very worst that the British winter can throw at them. These aluminium doors are impressive at keeping the elements outside where they belong. 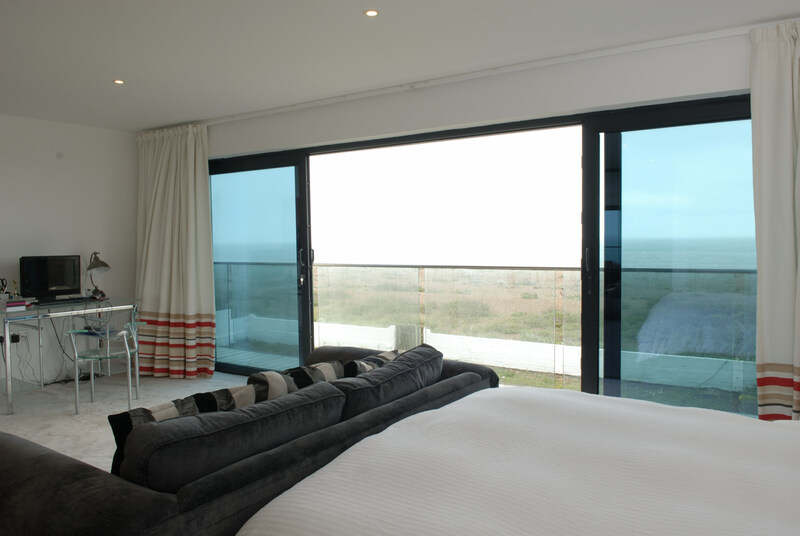 When it comes to security, no double glazing material is as durable or as robust as aluminium. Inherently tough and sturdy, our aluminium doors will not break or bend, even under sustained physical attack. They act as a fantastic burglary deterrent. We then fit our doors with top of the range locking systems to ensure an additional layer of security for your Ramsgate home. With our incredible locking systems, your doors will be secure enough to repel even the most intrepid of would-be intruders which allow you to put your mind at ease. They are also innately durable, aluminium doors are designed to last for decades rather than years, and will continue to look and perform at their best for many years. They will not crack, warp or discolour and will not require any heavy maintenance, just an occasional wipe down to have them looking and performing like new. With a range of over 250 colours and a huge number of designs available, the sky is the limit when choosing styles of aluminium doors. Whether your Ramsgate home is more traditional or more modern, our doors can be tailored to suit your home. Our colour finishes come complete with a 10-year guarantee, so you can be confident that your aluminium doors will continue to look their absolute best for years to come. If you would like to find out more about our aluminium doors, or any of our Ramsgate range of products, please do not hesitate to get in touch.Our team of experts are happy to help and will answer any questions you have, discuss the specifics of our windows and doors and provide you with any further information you may need. Alternatively, if you would prefer a free and instant online quote, please head over to our online quoting engine. We will have a quote ready for you within minutes, tailored to any specifications you give us. We guarantee to offer highly competitive prices, and, when you request a quote from Omega, we do not put you under any obligation to buy.